The Wall Street Journal has called litigation financing the “new hot law job.” See Sara Randazzo, The New Hot Law Job: Litigation Finance (July 5, 2018). Others have extolled its virtues, including that litigation financing promotes access to justice, allows lawyers to better manage risk, and reduces the cost of litigation. See David Lat, Six Virtues of Litigation Finance, Above the Law (Nov. 24, 2015).1 Although it is “becoming more and more widely permitted,” the regulatory framework governing litigation financing is “evolving and unsettled.” See David Lat, The Evolving Regulatory Landscape for Litigation Finance, Above the Law (Jun. 8, 2018). May a lawyer enter into a financing agreement with a litigation funder, a nonlawyer, under which the lawyer’s future payments to the funder are contingent on the lawyer’s receipt of legal fees or on the amount of legal fees received in one or more specific matters? Under Rule 5.4(a), a lawyer may not enter into a financing agreement with a litigation funder, a non-lawyer, under which the lawyer’s future payments to the funder are contingent on the lawyer’s receipt of legal fees or on the amount of legal fees received in one or more specific matters. Importantly, however, the committee acknowledged that the problem lies not so much in the substance of the transaction, but in its form. It is permissible to structure a litigation financing agreement to commit a client to repay the loan from the client’s gross recovery. 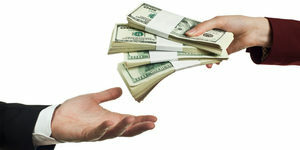 The problem lies only in committing a lawyer to repay the loan from the lawyer’s net legal fees. Indeed, the committee previously blessed the client-loan structure in a 2011 formal opinion. See N.Y. City Bar, Formal Op. 2011-2, Third Party Litigation Financing (Jun. 1, 2011) (“It is not unethical per se for a lawyer to represent a client who enters into a non-recourse litigation financing arrangement with a third party lender.”). What Does This Mean for Louisiana Lawyers? There is no controlling authority on the issue in Louisiana. However, given that Louisiana Rule 5.4(a) is nearly identical to the corresponding New York rule, see La. Rules of Prof’l Conduct r. 5.4(a), the New York advisory opinion should be persuasive here. Thus, if a Louisiana lawyer structures a litigation-financing arrangment to require the lawyer’s client rather than the lawyer to repay the loan, then there will be no issue with the fee-sharing prohibition of Louisiana Rule 5.4(a). A lawyer providing a guarantee or security on a loan made in favor of a client may do so only to the extent that the interest charges, including any fees or other charges attendant to such a loan, do not exceed ten percentage points (10%) above the bank prime loan rate of interest as reported by the Federal Reserve Board on January 15th of each year in which the loan is outstanding. Interest together with other charges attendant to such loans which exceeds this maximum may not be the subject of the lawyer’s guarantee or security.